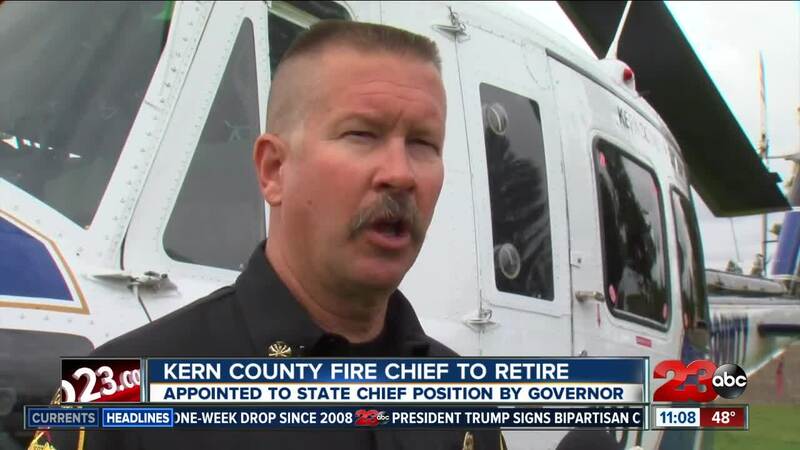 Kern County Fire Chief Brian Marshall is retiring from KCFD and taking a position in the Governor's Office. According to KCFD Captain Michael Nicholas, an email was sent to the department announcing that Chief Marshall is retiring. The email did not include an effective date. Chief Marshall has been appointed chief of Fire and Rescue at the Governor's Office of Emergency Services. Captain Nicholas called the retirement "unexpected." Chief Brian Marshall served as interim chief of KCFD in 2011, was appointed chief in 2012.